An event exploring and celebrating international picture books and the publishing industry, emphasizing their role in promoting global literacy and creativity. A year ago, noted children’s book specialist Betsy Bird reported on the School Library Journal’s blog that many U.S. publishers and librarians were opposed to buying or republishing picture books first issued overseas. American publishers, Bird said, rejected non-U.S. works as culturally inscrutable or inappropriate for American audiences—an attitude that stems the flow of imaginative, beautiful, and sometimes provocative work into our country today. Where the Wild Books Are was conceived by artist Etienne Delessert, who, along with author/illustrator and Parsons faculty Steven Guarnaccia, will present the event as a creative response to explore cultural trends and changes in the field of global publishing and their impact on the cultural literacy and the imaginative capacities of the next generation. 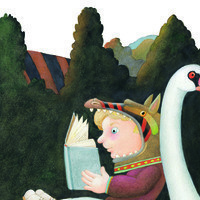 Join critics, authors, illustrators, publishing professionals, and educators from Europe, the United States, and beyond as they introduce audience members to a diverse array of important picture books published in France, Switzerland, Italy, Germany and Japan. Take part in a lively exchange on the ethical, commercial, and aesthetic dimensions of the evolving global publishing scene. Historian and critic Leonard S. Marcus will give the keynote address, followed by presentations, a panel discussion among influential industry insiders, and a reception with Swiss wines in Lang Cafe and the Vera List Courtyard (adjacent to the Auditorium). Leonard S. Marcus, author; eminent historian, critic of children’s literature. Betsy Bird, critic of children’s literature; author; producer of fusenumber8. Christine Plu, professor of children’s literature at the University of Cergy-Pontoise, Paris-Seine. Denise von Stockar, critic of children’s literature (MS Education, University of California, Berkeley). Tara Books, an independent publishing house based in Chennai, South India. Junko Yokota, professor emeritus at National Louis University, Chicago; children’s book critic and Asian picture book specialist. Steven Guarnaccia Moderator, artist, author (Goldilocks and the Three Bears: a Tale Moderne; The Three Pigs, An Architectural Tale), Associate Professor of Illustration, Parsons School of Design. Claudia Bedrick, independent publisher of Enchanted Lion Books. Etienne Delessert, artist; author (Ionesco’s Stories 1,2,3,4; Night Circus), publisher. David Macaulay, artist; author (The Way Things Work; Black and White), publisher. This public event is made possible by generous funding from the Cultural Services of the French Embassy, the Consulate General of Switzerland, the Italian Cultural Institute as well as support from The Creative Company and The New School (The School of Art, Media, and Technology at Parsons School of Design and the Creative Writing program).